So you are in the market for a new truck and can't decide what to get. It's going to either be a 2019 Dodge Ram 1500 vs 2018 Ford F-150. Both of these vehicles stand out to you, however, you do want to make a choice. If you get to Melloy Ram, you can check things out and see which one will suit you well. 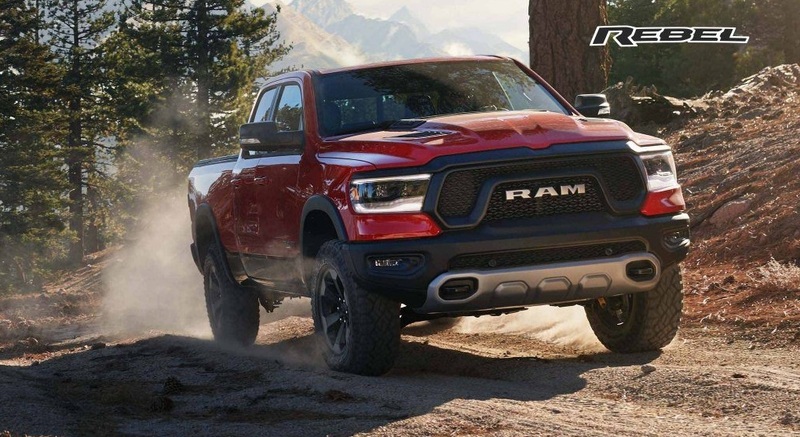 Looking at the exterior of the Ram, the hood is sculpted, the headlamps take on a more, defined shape, the grille is a bit creative, and the tailgate is made of aluminum with an integrated spoiler. The Ram can get up to higher speeds because it comes with an air dam. The grille is nice and the truck comes in lots of colors but that's really all it has going for it. So the Ram wins this round. No one can deny that this is a nice a truck. For a rugged vehicle it has a nice interior. This is a light duty model that comes with all kinds of high tech features. It has a 12 inch touchscreen with Apple CarPlay which means you get access to your IPhone. You can use Siri for directions and messages. There is a digital cluster display that comes with 3D graphics, active noise cancellation, fast USB charging connection, and SiriusXM that comes with voice control. The audio system is Harman Kardon. Space in the cab itself has increased by four inches and you get a 10 square foot panaramic sunroof. So everyone in cab gets to have fun. I'm liking this truck already. As far as leather seating you can go from black to Indigo/Light Frost. The console is refigureable with charging for up to five phones. There are ram bins located inside the floor of the cab with 5.5 inches of space. You can lift up the back can seats or fold them down for more space. My only issue with this truck is that I don't have one in my driveway. This truck does have the panaramic sunroof and passengers have space in the back for seating, and the seats will massage you. You can adjust your seating height and side mirrors that dip down to improve your visibility. Other than that this truck does not much going for it in the interior. If you stop in to the Albuquerque dealership this is something you can see for yourself. The Ram 1500 offers two engines. First is the eTorque 5.7-liter Hemi V8 with 395 hp and 410 lb-ft torque. The other is eTorque 3.6-liter Penstar V6 with 305hp and 239 lb-ft. For Ford we have six different engines. There is the 3.0L Powerstroke Turbo diesel, 3.5L Ecoboost, 2.7L Ecoboost, 3.3L TI-VCT V6, 5.0L TI-VCT, 3.5 L High-Output Ecoboost, and 10 speed automatic transmission. Ford won the Powertrain category. If you need to Test drive both of these, Melloy Ram is serving Albuquerque Santa Fe New Mexico. 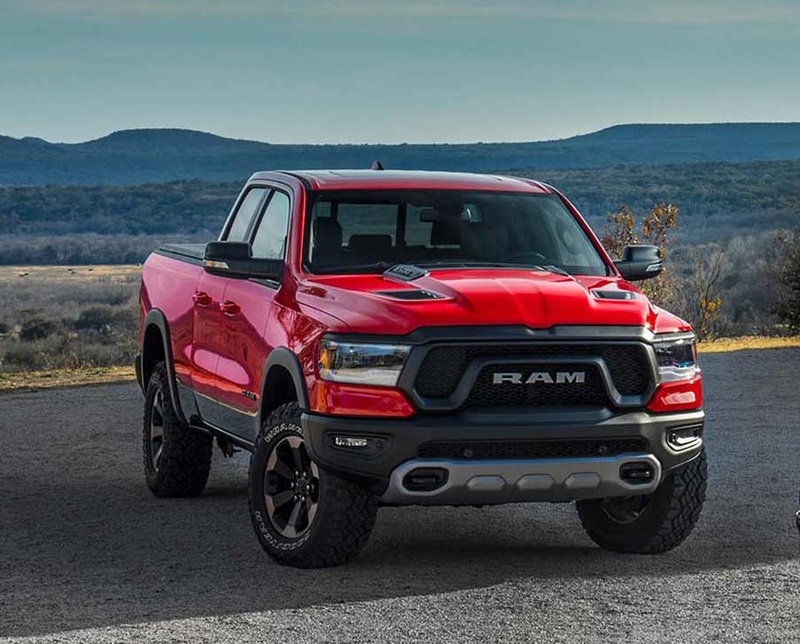 The 2018 Ford F-150 did outshine the 2019 Ram 1500 in the powertrain category and when take your test drive, you will see and fill it. The Ram features blind spot monitoring, rear cross paths and trailer detection, lane departure warning, smart cruising, guided parking, and a 360 surround view camera. For the Ford there is pre-collision assistance, cruise control that monitors the traffic ahead of you, lane keeping system, blind spot technology, and 360 camera. Both come safety features but what is on one truck is not on the other. However, all of the safety features are incredible. In this category it is a draw. You know if you make your way out to Melloy Ram, the Albuquerque dealership, you can check things out for yourself and come to your own conclusions. I am pro Ram. It just stands out more than Ford does and offers more. Yes, Ford has the better power train. If you think about though when has Ford not ever had the better powertrain. We are looking at two trucks and Ram hands down is the better truck. Get yourself to the dealership that is now serving Albuquerque Santa FE New Mexico and check out both of these. If you want a simple work truck then the Ford is for you, if you want something with luxury, then the Ram is for you. It just all depends on your style and what you like. I like the ram because it is more roomy, and you can really enjoy the vehicle. It does not have to be about work all the time. Yes, I'm pro Ram.